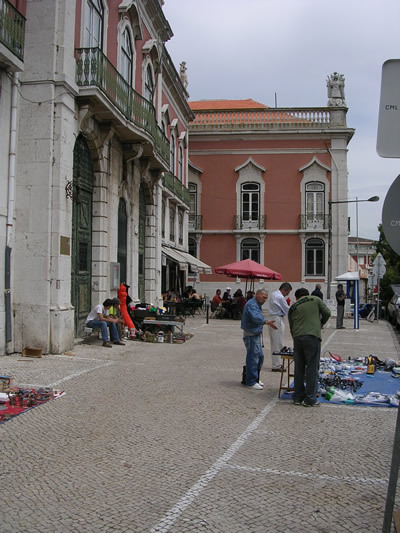 From the terrace you can see a part of Lisbon’s legendary fleamarket, and the Pantheon, in which important Portugese personalities are buried, like f.e. Amalia Rodrigues, the famous fado singer. 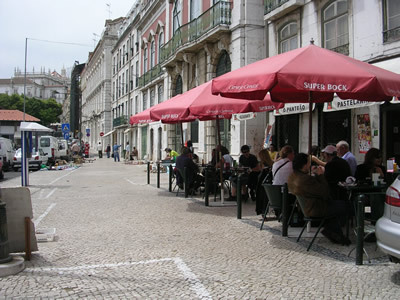 This popular restaurant serves real Portugese food for a good price (less than 15 euro). 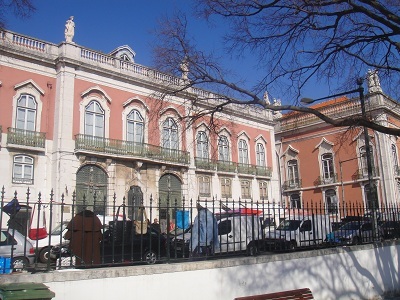 The beautiful building is a former palace. About 300 years ago a well-to-do and important Italian diplomat, marquis Polucci di Calboli, and his family lived here. The story tells about a conspiracy, the fact is that the family disappeared and a lot of beautiful art, collected for generations, was robbed. 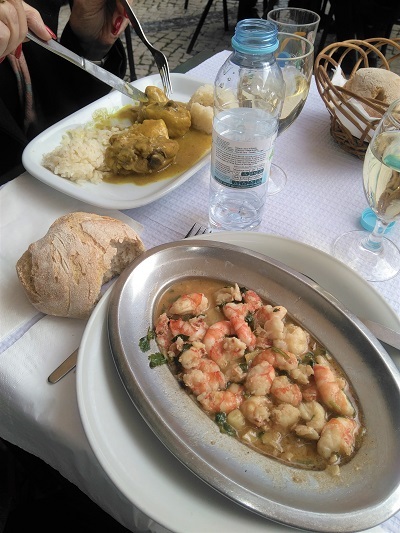 If you are not too hungry ask for “meia dose” (half serving). 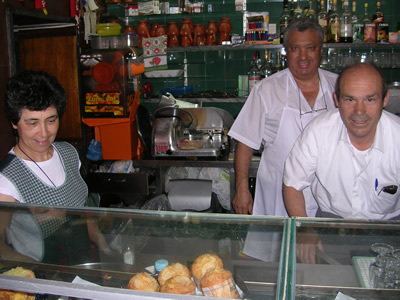 Traditional Portuguese cooking – excellent food. Price: less than 15 €. From the restaurant you can see the dome of The Pantheon. 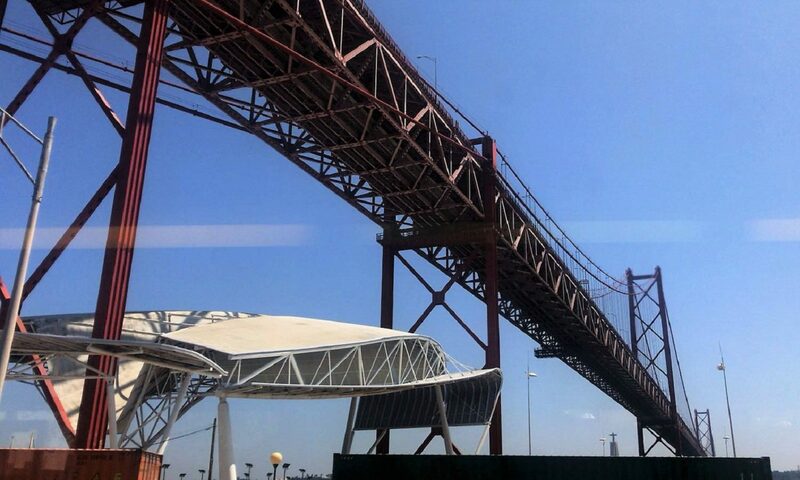 Looking for a nice place to stay in Lisbon? 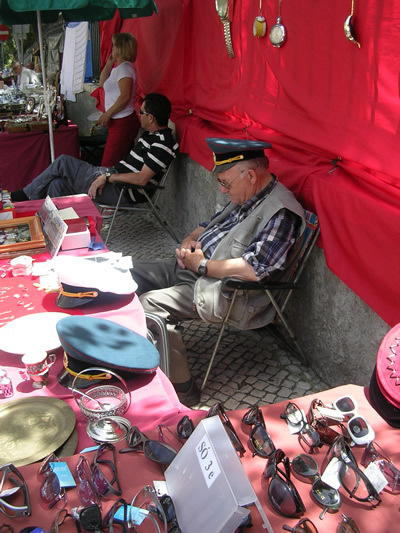 Os pais da Marisse tao na net ! Very good restaurant find by chance. 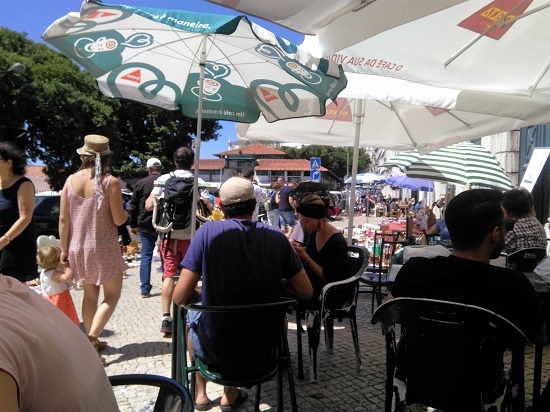 We were drinking a beer (Sagres) when I ask to the waitress for a good restaurant … she said … here ! She gave us a menu, the choice was difficult … she prposed us a mix of the menu ! So we had a lot of thinks to taste ! 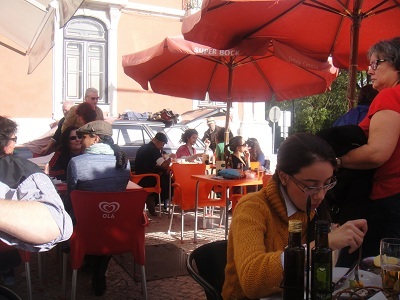 Very nice waitress (Melisa) for a very good lunch at about 15€ eache with wine and desserts !